How can I donate to Evelina London? Without your donations we simply wouldn’t be able to support the amazing work our hospitals carry out every day, providing comfort to our young patients and their loved ones who are going through a difficult time. Here's how you can donate to Evelina London. We will send an acknowledgement once we have received it. How can I raise funds for the hospital? 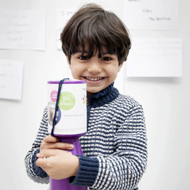 You can organise your own fundraising at home, work or school. There are many creative ways to raise funds for big things and small touches to help our young patients and their families. We are on hand for advice, and can also provide free fundraising materials such as posters, collection tins, and t-shirts. Challenge yourself through one of our events, we hold a range of fundraising events throughout the year - there’s loads to choose from. Volunteer for us. 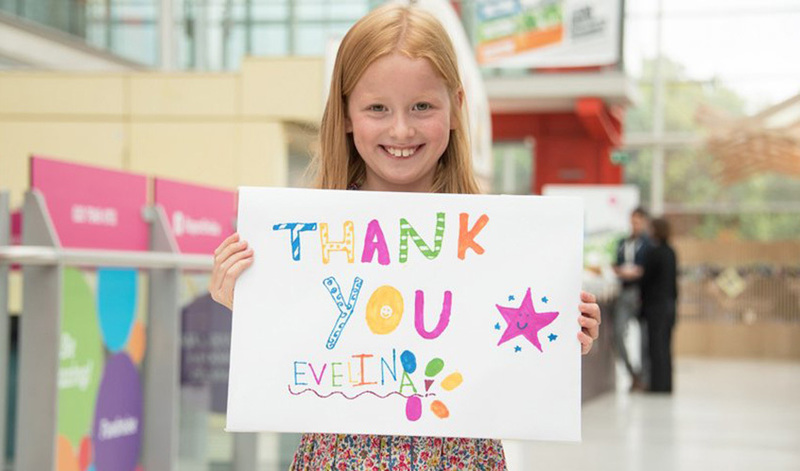 Fundraising volunteers are vital to our work at Evelina London, which is why we’d like to invite you to be part of #TeamEvelina and help make a real difference to our patients. You can leave a gift in your will. Leaving a legacy to Evelina London is a wonderful way to give something back, perhaps to acknowledge the treatment and care that you or a loved one received. With any of the above, you can also share your experience in fundraising on our website. How do I transfer the money from my online donation page to the charity? The money that you raise through your online donation page is transferred to us automatically on a weekly basis. You don’t need to do anything further to ensure the money reaches us. If you’d like the money you raise to go to a particular area of the hospital, please let us know. Can we have a collection tin for our school, community group or workplace? Absolutely. Give us a call on 020 7848 4701 or email info@supportevelina.org.uk and we'll send you one through the post and depending on how long you’d like to support us, you can either keep the tin, count the cash when it's full and donate the amount directly over the phone, via cheque or bank transfer. Alternatively, you can drop the tin off to us at the address above and we'll replace it with another one. Can I buy a branded cycling jersey or running shirt? Our branded cycling jerseys cost £30 and running vests cost £15. To buy one, give us a call on 020 7848 4701 or email info@supportevelina.org.uk to make a payment over the phone and we will post it to you. Keep up-to-date with news from our hospitals, ways to support them, and events to take part in! We'll also tell you how your money has helped. Subscribe here.